You are here: HomenextMain SubjectsnextCan you help?nextRobinson Chi Rho A.Y.P.A. pantomime 1948. Can anyone shed any light on this photo? lt is titled Robinson Chi Rho A.Y.P.A. 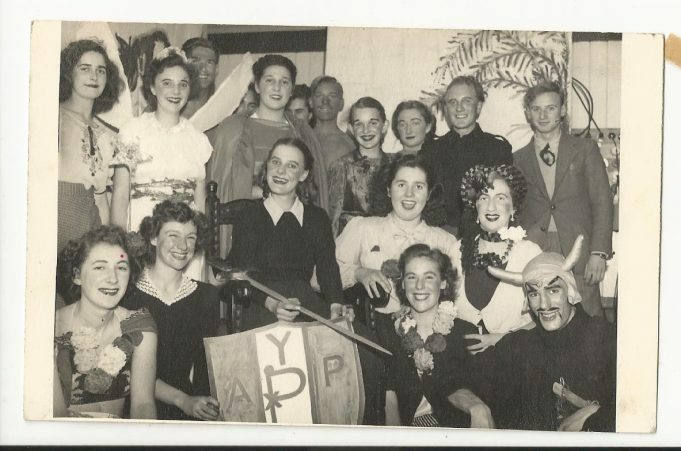 pantomime 1948.
l believe it to be a St Barnabas Church, Hadleigh group. My mother, Noreen Lawford; Aunt, Pat Lawford & Uncle Stan Hipsey are pictured.